A person’s first instinct after an arrest is to post bail in order to be immediately released from jail. However, a person should consider hiring a Tulsa Oklahoma bail bond reduction lawyer before posting bail. A lawyer can file a Bail Bond Reduction Motion and potentially have the bail amount reduced. This can result in significant savings for the accused or the family. Under Oklahoma criminal law, if an accused posts bail, judges will not appoint the public defender’s office to represent you. Judges presume that since you can afford to post bail, you can afford to hire an Oklahoma defense lawyer, even though this may not necessarily be true. It is in the best interest of the accused to have the bail amount reduced, because you should not have to choose between being out of jail and hiring an Oklahoma criminal lawyer to defend you. There are four different types of Oklahoma bail bonds. “[e]xcessive bail shall not be required.” Bail is not supposed to be punitive and is to be determined on a case-by-case basis. The theory is that a judge should set a bail amount that guarantees a defendant will attend all court appearances, but the amount should be reasonable in order to allow the accused to remain free until the Oklahoma criminal case is resolved. So much for the theory! Most judges set bail amounts according to a standard bail schedule and do not consider the circumstances of the case or the defendant’s ability to pay. A Tulsa Oklahoma bail bond reduction lawyer maybe able to convince the judge to reduce the bail amount at a bail bond reduction hearing. If you or a loved one needs a Tulsa Oklahoma bail bond reduction lawyer, please contact us. We can begin drafting a bond reduction motion immediately and we can set a bail reduction hearing. The facts and circumstances of every case are unique and the success of a bond reduction motion can depend upon the charge, the record of the accused, and the particular the judge who presides over the bond reduction hearing. We represented a client who has charged with aggravated drug trafficking. He was accused of transporting 2 pounds of methamphetamine, 2 pounds of cocaine, he was driving a vehicle that he did not own, and he did not reside in Oklahoma. He was being held without bail. The prosecutor requested that he continued to be held without bail or in the alternative, that his bail be set at $1,000,000.00. We successfully argued to the judge that the client was not a danger to society and that he was not a flight risk. The judge granted our motion for bail and set our client’s bail at $100,000. That is a good result for a defendant who did not reside in Oklahoma and who was accused of transporting 4 pounds of illegal drugs! 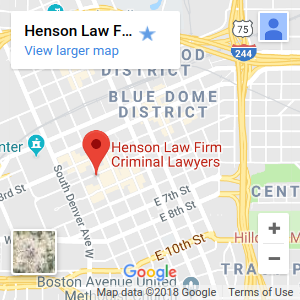 Contact the Henson Law Firm today and we will immediately begin working to reduce your bail so you can fight your criminal charges from the outside instead of sitting in jail for the duration of your case. 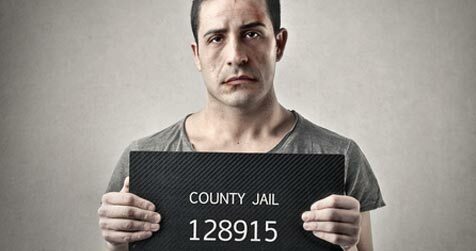 Need Bail Bond Reduction Attorney in Tulsa Oklahoma? Contact us today!